BIRMINGHAM, Alabama – Martin Luther King III, a human rights activist and eldest son of Civil Rights leader Dr. Martin Luther King Jr., will speak next week at a joint meeting of organizations that seek to strengthen economic and cultural ties between seven Southeastern states and Japan. King, who once headed the Southern Christian Leadership Conference, a celebrated Civil Rights group founded by his father, will deliver the Capstone address at the 38th annual joint forum of the Southeast U.S.-Japan and Japan-Southeast U.S. associations. 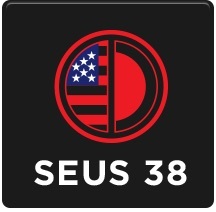 SEUS Japan 38 will take place Nov. 14-17 in Birmingham. Dr. Condoleezza Rice, the 66th U.S. Secretary of State, is also scheduled to speak at the conference, which is expected to draw hundreds of high-ranking business leaders, political officials and economic developers from Japan and across the Southeast. King’s SEUS Japan 38 speech will take place at a formal breakfast at the Birmingham Sheraton Hotel on Nov. 17. Dr. Rice, a Birmingham native, will deliver the event’s Keystone address at downtown’s Alabama Theatre on Nov. 16. Greg Canfield, secretary of the Alabama Department of Commerce, said the addition of King as a speaker at SEUS Japan 38 highlights the wide-ranging nature of the annual event, which focuses on more than just commercial opportunities between the states and the Asian nation. King was born in October 1957 in Montgomery, where his father was emerging as an influential Civil Rights leader. He grew up in Atlanta and was just 10 years old when his father was assassinated. King received a bachelor’s degree in political science from Morehouse College, his father’s alma mater, in 1979. He served as a Fulton County commissioner in Georgia from 1987 to 1993. During this period, he also helped launch the Estate of Martin Luther King Jr. Inc., a company that manages the license of his father’s image and intellectual property. In 1997, King was elected to head the Southern Christian Leadership Conference (SCLC), which had been founded by his father after the Montgomery Bus Boycott. With King III in charge, the SCLC held hearings on police brutality, organized a rally for the 37th anniversary of the “I Have a Dream” speech, and mounted a successful campaign to remove the Confederate cross from the Georgia state flag. He headed the organization until 2004. In 2006, King founded Realizing the Dream, a non-profit organization to carry on the legacy of his parents to eradicate poverty and promote peace through non-violence. The organization was later folded into The Martin Luther King Jr. Center for Nonviolent Social Change. The King Center later teamed with JP Morgan Chase & Co. on an innovative program to digitize nearly a million documents associated with his father. In 2008, King spoke on behalf of presidential nominee Barack Obama at the Democratic convention. In recent years, he has delivered speeches around the world focusing on social justice and human rights. Two-way trade between Japan and the Southeastern states topped $30 billion last year, and Japanese companies have actively invested in the region, particularly in automobile assembly and auto parts manufacturing. Japanese companies in fields ranging from chemicals to advanced materials also have established manufacturing facilities in the region. The Alabama Department of Commerce is helping to organize the 2015 joint meeting. Grayson Hall, chief executive officer of Regions Financial Corp., is serving as co-chair of the event, along with Tadashi Okamura, advisor to the board of Japan’s Toshiba Corp.